Ngawi small village on Palliser Bay, uses bulldozers lining the beach to launch fishing vessels. 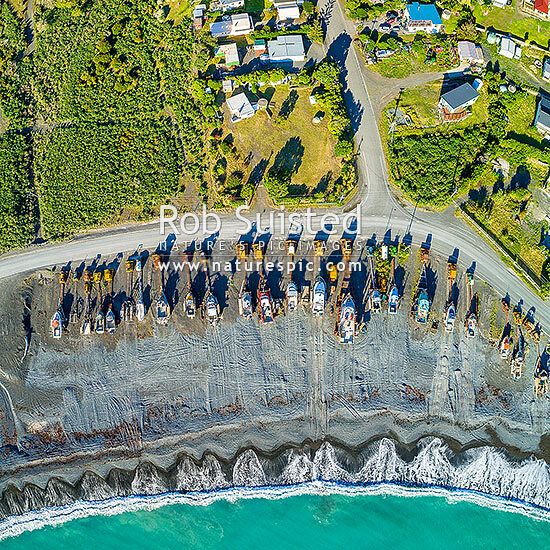 Aerial view from above of fishing boats. Square format, Ngawi, South Wairarapa District, Wellington Region, New Zealand (NZ), stock photo.